The term ‘Modeling’ covers a vast and varied area of endeavor and not just the high fashion modeling popularized on TV. If one is looking to become a "professional model" you need a positive money stream or more money coming in then going out. One can also look at different types of modeling and quickly see what the chances of having a positive cash flow are and how much that might be. Modeling or being a beauty pageant is, undoubtedly a glamorous field which offers tremendous opportunities to travel and meet various classes of people. Moreover once established it is a highly paid job. Even with all these plus points it involves lot of hard work, dedication and perseverance to be successful in this field. It is a profession where educational qualifications become insignificant and physical attributes and personal qualities assume importance. Modeling course offered at RKFMA includes different aspects of it, viz., ramp modeling, print modeling & video modeling. 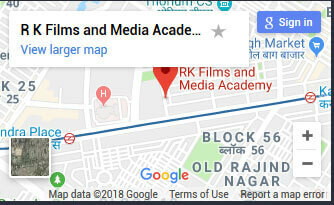 Here again, RK Films & Media Academy takes a lead to be amongst the finest & the first as a Professional Fashion Model training and Beauty Pageant Grooming institute offering classes in the field of Modeling or Beauty Pageant in New Delhi. Besides being an ideal films & modeling training school for avid learners, RKFMA has not limited itself to function as just another fashion modeling institute but has also expanded the sphere of its activities and has been playing a vital role of offering services modeling agency (for professional and fresh models) in India. RKFMA's Fashion Model Academy offers its students with platforms to showcase their talent through various in-house productions, modeling assignments based on projects basis, corporate events & stage shows, films & advertisement shoots, etc. RKFMA has also been constantly approached by various event managers, film directors & producers, fashion photographers & other production houses for fulfilling their need of professional models, actors, actresses & other artists. An additional effort has also been undertaken by RK Films & Media Acacdemy by commencing its own in-house Fashion Portfolio Photography Studio for the fashion portfolio development of its students.